It's going to be a fun month as I am going on a family vacation to Hilton Head next week and get to play at least once (hopefully more if I can convince the wife) and then go to Bandon Dunes for a work trip followed by another trip to San Antonio for work in late April where I hope to play TPC San Antonio, home of the Valero Texas Open. If by chance anyone else is going to be in Hilton Head area next week, let me know and maybe we can arrange a game. This winter has been by far the most I've been able to swing a club and stay and golf shape and it really has me excited. Typically this time a year, I'm just trying to figure out my swing and tempo again which has taken me anywhere from 3 weeks to 6 weeks during spring. What a great time - I'll have to expand on my experience when more time allows, but I wanted to post some pictures of my recent outings. That looks awesome, where did you play? We just came home from a Hilton Head vacation a week ago. I only got to play once. The course was in great shape, a little on the shorter side but the greens were amazingly fast. I ended up shooting 7 under! I played palmetto plantation and it was decent. I was looking for something a bit more affordable and for the price it was fair. That course must be Boise states home course! It's going to be a fun month as I am going on a family vacation to Hilton Head next week and get to play at least once (hopefully more if I can convince the wife) and then go to Bandon Dunes for a work trip followed by another trip to San Antonio for work in late April where I hope to play TPC San Antonio, home of the Valero Texas Open. If by chance anyone else is going to be in Hilton Head area next week, let me know and maybe we can arrange a game. This winter has been by far the most I've been able to swing a club and stay and golf shape and it really has me excited. Typically this time a year, I'm just trying to figure out my swing and tempo again which has taken me anywhere from 3 weeks to 6 weeks during spring. If you have been to San Antonio before then I’m sure you already know about these courses. If not here are three recommendations. Brackenridge Park Golf Course is the oldest public course in San Antonio. Many many years ago it was the home of PGA and Senior PGA tour events. The course is always well maintained and has a mix of challenging to reasonable holes. It’s where I cut my teeth on Golf so I do have a special connection to the course. The Quarry Golf Course was developed out of an old rock quarry. The front 9 is located in the quarry itself. I really enjoy the course. The distance is not overwhelming but there are certainly some challenges and danger all around. Located in a mix living and shopping area it’s a great place to play a round of golf followed by a quick bite and some drinks. Silverhorn Golf Club was my favorite for many years. In the summer when no one wanted to play in the heat of Texas they had great rates. The course is always immaculate, greens pristine and layout with many dog legs very interesting. Thanks! I hope to get down a bit more often as I will be handling one of our customers based down there. I played the quarry last time and thought it was a cool track. The nine inside the quarry was very tough. Turns out there aren’t any open slots for Tpc so we are playing the club at sonterra. Hopefully it’ll be nice. 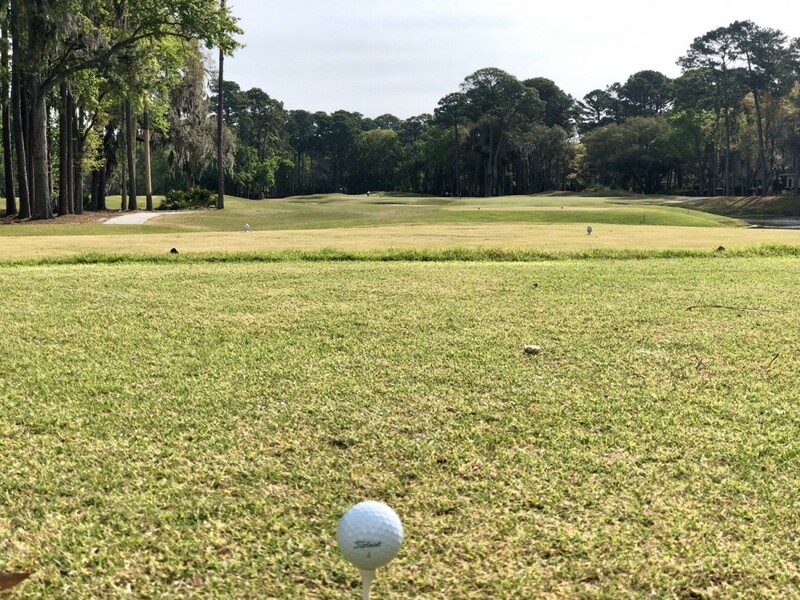 Where did you play in Hilton Head? I will probably be there in September for a work conference. They usually do an outing at a local course so I’m excited to see where they pick. Might try and get there a day early and play beforehand as well! Well i kind of screwed the pooch here. I didn't want to fork out $175 + for a round of golf so I thought I found a great deal on GolfNow for Palmetto Dunes - Arthur Hills course (a buddy of mine goes to HIlton Head frequently and told me to try it), however I actually booked Palmetto Plantation which was a fair course. Priced at $75 bucks that day, I'd say it was a fair value for the condition. The entire course was fairly maintained, but it did not have any truly memorable holes. I looked on MGS for any other recommendations and the one course that kept showing up was Old South for best value. I'd give that one a try if you can, but I have not played it myself. If money is no object, you might try the Palmetto Dunes or Sea Pines courses.